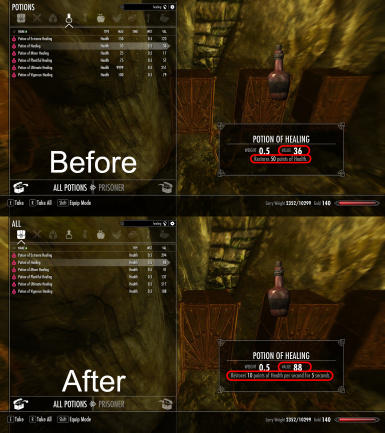 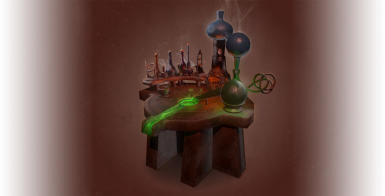 File 'Alchemy and Potions Adjustments - No Food Version' category changed to Old versions. 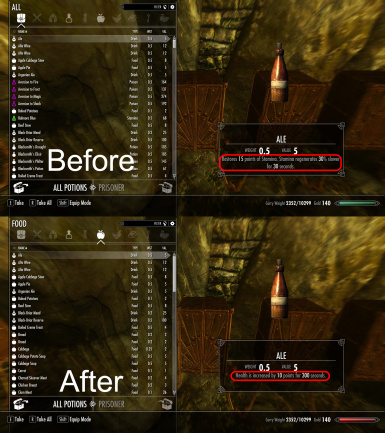 File 'Food Adjustments' category changed to Old versions. 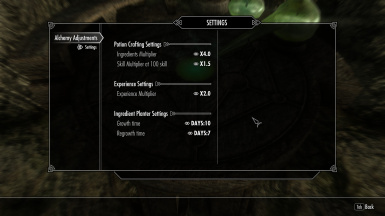 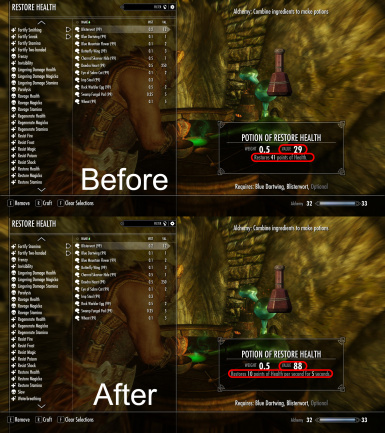 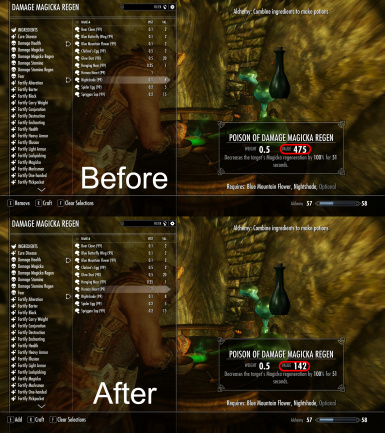 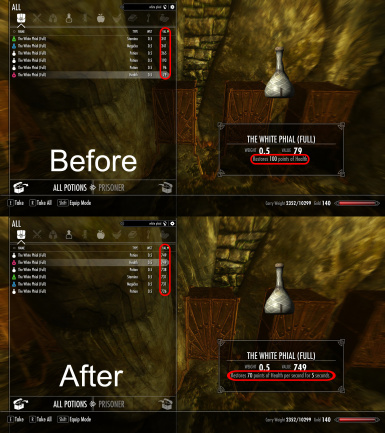 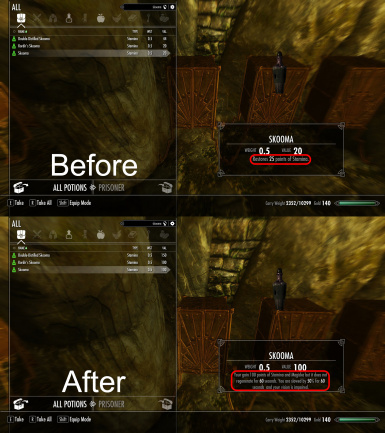 File 'Alchemy Adjustments and Dawn of Skyrim Patch' category changed to Old versions. 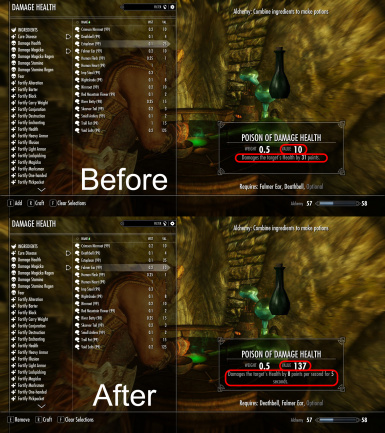 File 'Alchemy Adjustments and Weapons Armor Clothing and Clutter Fixes Patch' category changed to Old versions. 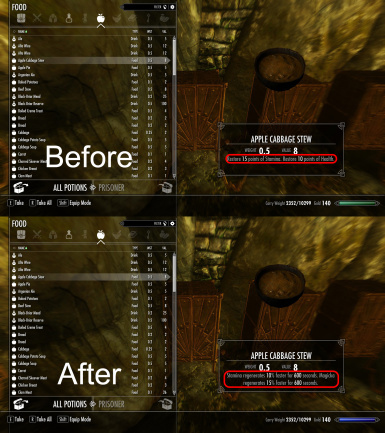 File 'Food Adjustments and Dawn of Skyrim Patch' category changed to Old versions.